So,this says:"'every country is my own and all the people are my kinsmen.'" & also it is guided by the universal concepts ["ஒன்றே குலம் ஒருவனே தேவன்" “Onre Kulam Oruvane Thevan”]"All humanity is one family, and God is but one! "Our Thirukkural[திருக்குறள் ],outlined a four fold path of positive life-affirmation based on Aram[அறத்துப்பால்/righteousness,] Porul[பொருட்பால்/ wealth],Inpam [காமத்துப்பால்/pleasure] and fulfillment[ வாழ்வில் நிறைவு அடைதல்] leading to a Saiva religious way of life without recourse to meaningless rituals and foolish blind faith.Though Thiruvalluar specifically not mentioned about fulfillment,He could have simply assumed that,If any one who followed the first three paths successfully will automatically fulfill his life. 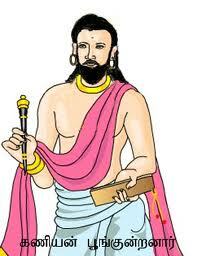 "வையத்துவாழ்வாங்கு" “Vaiathu valvangu" living well the earthly life is the aim. And Saivism has echoed and re-echoed the sentiments of well-being of all. 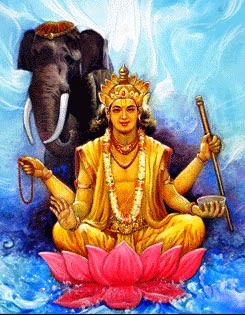 "எல்லோரும் இன்புற்றிருக்க நினைப்பதுவே" "ellorum inbutrirukka ninaippathuve..." Let there be prosperity for all!. Also,thirumanthiram 2104 says:"ஒன்றே குலம் ஒருவனே தேவன்/ There is only one Human Sect and there is only one God" ie "one caste and one God only" or oneness of God and oneness of all creeds in the whole world and again in thirumanthiram 2962 says:"ஒன்றுகண் டீர்உல குக்கொரு தெய்வமும் ஒன்றுகண் டீர்உல குக்குயி ராவது/One the God for worlds all,One is He, the life of worlds all " & by this he united all Tamilians without caste discrimination.Any rationalist will accept it without any hesitation.So,"அன்பே சிவம்"“Anbe Sivam” - “Love itself is God-Siva” is the central theme of Saivism. 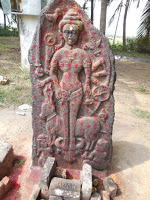 On the other hand,The Hindu religion is thought to have originated with the Aryans.where most of the important deities were predominantly male,who personified forces and nature and were worshipped in elaborate sacrifices and incorporated fire and an inebriating drink called soma ("Drink of Strength") into them,performed only by Brahmins,the priestly class,sort of like the Druids[a priest,magician,or soothsayer in the ancient Celtic religion].The Aryans,who migrated down to the subcontinent from Central Asian steppes,composed religious texts beginning with the Rigveda, the Yajurveda, the Samaveda and the Atharvaveda (ca.1500–1000 B.C. ),which contained hymns to the gods and descriptions of the customs,behavior, and traditions of Aryan life.The Upanishads,composed later (700–500 B.C. 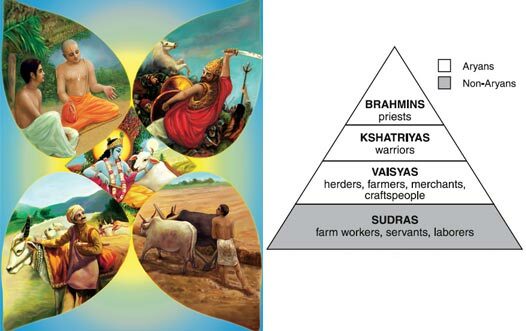 ),Also The caste system is believed to have been introduced in its preliminary form around 1500 B.C.It has been argued, Aryan conquerors gave the conquered Dravidians ,lower status tasks.This caste system described in the Rig-Veda may have grown out of the enslavement of people from the Indus Valley by the Aryans.The Vedas refer to conquered “Dasas” or “Dasyi” (names meaning “slaves” and probably referring to the early Dravidian-speaking Indus people).Their social framework was composed mainly of the following groups : the Brahmana (priests), Kshatriya (warriors), Vaishya (agriculturists) and Shudra (workers). It was, in the beginning, a division of occupations; as such it was open and flexible. Much later, caste status and the corresponding occupation came to depend on birth, and change from one caste or occupation to another became far more difficult.Even DNA studies of Indians have confirmed this .The Aryans also brought with them a new language, a patrilineal and patriarchal family system,where The birth of a son was welcome because he could later tend the herds, bring honour in battle, offer sacrifices to the gods, and inherit property and pass on the family name.and a new social order, built on the religious and philosophical rationales of varnashramadharma.All of these beliefs of Aryans were adopted as the foundation or core beliefs of Hinduism,However it developed further by intermixing of Aryan and Dravidian beliefs and aryanising dravidian gods.